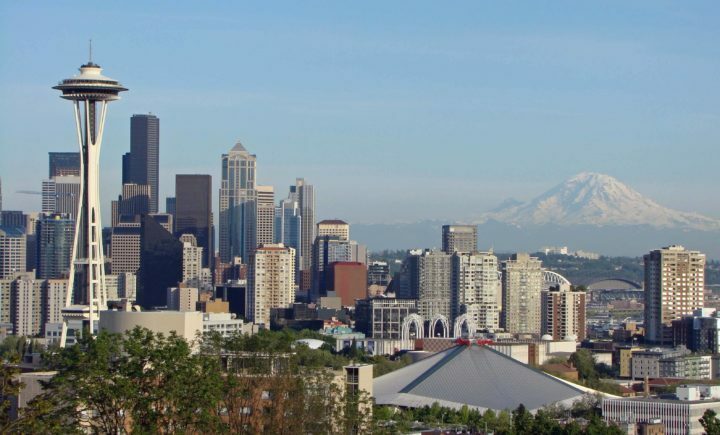 Seattle has been a popular city for decades, but recently it has become more popular than ever. A picturesque city located on the Puget Sound and straddling a lake, with ferries transporting many commuters into the city each day, Seattle features friendly folks, good coffee and a thriving nightlife. If you enjoy the lush green forest of the Emerald City more than you mind a consistent light drizzle, Seattle might be the place for you. And if you are moving within or to Seattle, any helpful recommendations will be valuable to make your transition go more smoothly. Here are five tips we think everyone should know. Pick a neighborhood. There are many great neighborhoods in Seattle and surrounding areas, and each provides a little something different. Choose the neighborhood(s) you prefer before looking for a place to live, and make it a little easier by making a list of things that are important to you, which could include transportation, parking, walking score, schools or daycare, commute times, neighborhood amenities such as parks, trails or restaurants, median rent price or home value, and median age of the neighborhood. This neighborhood guide from Redfin includes many of these, plus a percentage of households with children within the city proper. Choosing your housing type. Whether the type of housing you consider will fit your needs or lifestyle includes considerations you might not have anticipated, For example, although the rain in Seattle is usually more of a light mist, the majority of the year is overcast and damp. This means lots of growth in your yard and fewer clear days for gardening. You might prefer to spend sunny days on recreation rather than yard work, which is a factor to consider when choosing housing type. Other things to consider include parking for yourself and guests, whether pets are allowed or have space to roam, and whether you prefer on-site or neighborhood amenities, such as a gym, laundry, jacuzzi, or pool. People who like to entertain may be able to utilize a clubhouse and pay for a smaller living space. Others may find they prefer having a garage, garden, or space for a home office, roommate, or an Airbnb. Make up a list of your desired activities and amenities, and also calculate hidden costs, like condo, HOA and parking fees, yard maintenance and utilities. Don’t forget to compare what you might pay for an amenity you will need that is not available, such as a gym membership or laundromat. Permits. You don’t need a permit to move, but you may need a Temporary no-parking zone access for a moving van. For a small fee, you can reserve space on a public street, request a permit to park a truck, and rent sign hoods or “no parking” barricades. Utilities. The city of Seattle offers many different types of utility services, and the city website has a convenient list of most of them here. Don’t forget to schedule both your new service and the service disconnection from your old location. Update your license. Washington is a state that requires new residents to obtain a state driver’s license within 30 days. Residents must have a Washington license to register their vehicle. It is also important to update the address of your license and registration when moving. Washington state conveniently allows you to register to vote or update your records when you update your license. Bonus tip: Gigantic Moving & Storage is available in Seattle to help you with your move. Contact us to confirm an estimate, check availability, and make a reservation. We hope your move will be a pleasant one, and that you enjoy living in Seattle!